The Supreme Court of Appeal has Tuesday this week to start hearing the Blue Night appeal case in which the governing Democratic Progressive Party (DPP) and four parastatal institutions are praying for the court to stay a High Court judgement. The appeal made in May 2018, followed a ruling by Zomba-based High Court judge Zione Ntaba two months earlier where civil society organisations (CSOs) demanded a refund of donations from the party. Due to appear before Justice Dunstan Mwaungulu, lawyer for the DPP and the parastatals Bruno Matumbi said in an interview yesterday that they will be praying for Ntaba’s judgement to be overruled. The CSOs are being represented by Wesley Mwafulirwa. In her ruling, Ntaba dismissed DPP’s plea to discharge the case and that the CSOs had sufficient interest in the matter and were within their right to take the case to court. She also directed that the matter be taken for mediation to be conducted by Judge Redson Kapindu of the High Court of Malawi at Zomba Registry within two months. Reads the appeal in part: “The Judge erred in law by failing to provide substantial reasons for departing from or for failing to be bound by the decision of the Malawi Supreme Court of Appeal in the case of Civil Liberties Committee vs Minister of Justice MSCA Civil Appeal Number 12 of 1999. They also fault Ntaba for admitting and using opinions contained in the sworn statements of the CSOs, whom they argue were witnesses of the fact without qualifying the deponents as experts before admitting and relying on their evidence as such. The CSOs are Centre for the Development of People (Cedep), Centre for Human Rights and Rehabilitation (CHRR), Youth and Society (YAS), Human Rights Consultative Committee (HRCC) and Livingstonia Synod’s Church and Society Programme. 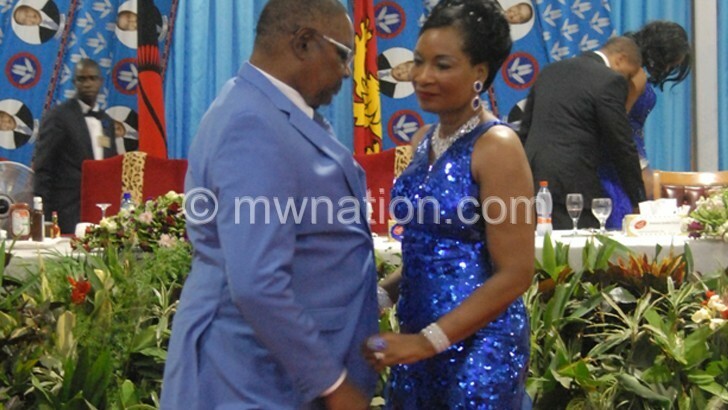 During a fundraising dinner and dance branded Blue Night at Kamuzu Palace in Lilongwe on July 29 2017 where President Peter Mutharika was the guest of honour- DPP allegedly received about K13.5 million from public institutions- a gesture the CSOs argued amounted to misuse and abuse of public resources. They sought a declaration of the court that the donations to DPP contravene the doctrine of public trust, the Constitution and the Public Finance Management ACT. Under Section 178 of the Constitution and Section 23 of the Public Finance Management Act, no single tambala of public funds is supposed to be expended unless such expenditure is authorised by an Appropriation Act or is a statutory expenditure.